September 17th, Thursday @ 6:30 – 8:30pm ____________ _________ _________ _________ _________ _________ ________ CHEESE AND KEFIR MAKING WORKHSHOP Unavailable to find traditional dairy products at stores around your neighborhood! Hello Everybody! Sponsored by the Latino Farmers Cooperative of Louisiana, Inc., Canal Blvd Baptist Deaf Church and the Weston A. Price Foundation – New Orleans Latino Farmers Cooperative of Louisiana, Inc.
A Louisiana State Medical Society survey finds that many physicians will cut down on their Medicaid care because of a recent 10 percent cut in the money they receive for the patients. Authentic Inquiry WebShops – Purchase Parts I & II and Save $25.00! Part I Compelling Conversations & Defining Dialogue – Introduction to Authentic Inquiry Part II Compelling Conversations & Defining Dialogue – The “how-to” of Authentic Inquiry These two WebShops are the first in a multi-part series that introduces a powerful dialogue technique created by and for the Leadership Institute, and is refered to as “Authentic Inquiry” or “ai.” This technique has been introduced to live workshop participants all over the country, and audiences always ask for more. Authentic Inquiry is a process, a technique and a way of interacting with friends and colleagues in such a way that one or more of the individuals involved in the dialogue is compelled to do something as a result; additionally, the dialogue defines or clarifies the direction or actions that one must take as they move to resolve an issue or overcome a hurdle. The ai process addresses personal skills and attitudes, and interpersonal skills; skills that are directly linked to career success. Mastery of the ai process is one method of honing these skills and has potential to lead to increased occupational effectiveness for sign language interpreters nationwide. The Leadership Institute (LI)was established in July of 2006. LI offers leadership retreat facilitation and leadership consultation to those in the fields of education and sign language interpreting. The LI Online Education Center was established in January of 2008 and offers Video based WebShops on a variety of leadership and interpreting skills related topics. As a partner in Energy Events the Leadership Institute now offers onsite leadership and interpreting workshops and seminars. For more information on LII please visit www.leadershipinsti tute.biz or contact Amie at amie.leadershipinst itute@gmail. com. 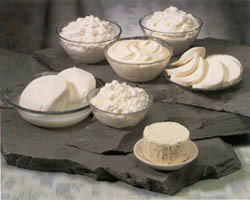 Unavailable to find traditional dairy products at stores around your neighborhood! Kathia Duran and Barbara Lovas will walk you through the techniques of making home-made yogurt, Kefir, cream fraiche, and Creole Cream Cheese using store-bought cow milk. Latino Farmers Cooperative of Louisiana, Inc. Two-thirds of those responding to an e-mail survey of society members released Monday said the cuts would prompt changes: either they plan to stop treating Medicaid patients altogether or they intend to stop accepting new Medicaid patients. The Medicaid rate reductions were adopted as part of the Jindal administration’ s process to help balance the more than $28 billion budget for the fiscal year that began July 1. Medicaid — the government-run insurance program for the poor, elderly and disabled — provides health care for about a fourth of Louisiana residents. Access for patients to health care in Louisiana has been a problem, and the cuts to the rates paid to doctors who care for Medicaid patients will further exacerbate the shortage of care, said Roger D. Smith, a doctor and medical society president. Smith said Medicaid patients will have increased difficulty finding or keeping a physician and will become more dependent on expensive hospital emergency rooms for care. “These cuts are penny-wise and pound-foolish, ” said Dr. Vincent Culotta, the medical society’s legislative chairman. State Department of Health and Hospitals Secretary Alan Levine said he wants more details about the survey participants because many who think they may be affected by the cuts may not be. Levine said the 10 percent cut does not apply to any physician service for children, regardless of the medical specialty. But Levine said Louisiana has had some of the highest doctor reimbursement rates in the U.S., and he said the reimbursement rates remain higher than they were two years ago. In the survey results, 34 percent of physicians said they will continue to see Medicaid patients but will not accept new ones, 18.6 percent will stop accepting referral of Medicaid patients and 15.6 percent will stop seeing all Medicaid patients. Medical Society spokeswoman Sadie Wilks said the survey involved 202 respondents from a list of about 3,000 doctors. Authentic Inquiry WebShops – Purchase Parts I & II and Save $25.00! These two WebShops are the first in a multi-part series that introduces a powerful dialogue technique created by and for the Leadership Institute, and is refered to as “Authentic Inquiry” or “ai.” This technique has been introduced to live workshop participants all over the country, and audiences always ask for more. Authentic Inquiry is a process, a technique and a way of interacting with friends and colleagues in such a way that one or more of the individuals involved in the dialogue is compelled to do something as a result; additionally, the dialogue defines or clarifies the direction or actions that one must take as they move to resolve an issue or overcome a hurdle. These two WebShops are typically $50.00 each. To take advantage of this limited time special offer please call our office at Energy Events – 303-865-5300 Ext. 3 – by 9/20. Purchase them at the same time over the phone and receive access to BOTH for just $75.00! Still haven’t registered for the K-12 Kamp? There are only 20 seats remaining – send in your registration today! Register before 9/28 and save! New Onsite Event Coming January 2010! This two-day event is designed specifically for lead interpreters, and interpreter coordinators, managers and supervisors. Topics covered in this event include: “If only my staff would” – What do you really need from the interpreters you supervise? “If only I could get…” – And what do you really need from those that supervise your work? “What I’d really like to say” – Techniques for communicating authentically and truthfully without appearing mean, controlling or pushy. “I wonder what they’re really thinking” – Techniques for better understanding what’s behind the words of members of the interpreting team and how that influences their behavior and actions. “Ah, this feels MUCH better!” – Putting it all together to create a team environment that is uplifting, supportive and that produces powerful results! We hope you will join us as we honor, acknowledge and support the work you do as supervisors! Think the Leadership Institute is just for leaders? Think again! Leadership Institute WebShops are available to anyone and everyone working in the fields of eduation and interpreting. The Leadership Institute believes that we are all leaders, leading by our example, – so even WebShop topics designed for “leaders” will apply to you! We also offer a variety of online skill-based topics, and extended onsite events – there is something here for everyone. Check us out! Save money, put together a group WebShop! All WebShops, live and recorded, can be viewed as a group. For more information, email Kari. Thanks for letting me use the bathroom when I was working in your yard last week. While I was in there, I unlatched the back window to make my return a little easier. Love the flowers — they tell me you have taste, and taste means there are nice things inside. Those yard toys your kids leave out always make me wonder what type of gaming system they have. I really do look for newspapers piled up on the driveway. And I might leave a pizza flyer in your front door to see how long it takes you to remove it. If it snows while you’re out of town, get a neighbor to create car and foot tracks into the house. If decorative glass is part of your front entrance, don’t let your alarm company install the control pad where I can see if it’s set. A good security company alarms the window over the sink. And the windows on the second floor, which often access the master bedroom. It’s not a bad idea to put motion detectors up there too. It’s raining, you’re fumbling with your umbrella, and you forget to lock your door — understandable. But I don’t take a day off because of bad weather. I always knock first. If you answer, I’ll ask for directions somewhere or offer to clean your gutters — don’t take me up on it. I always check dresser drawers, the bedside table, and the medicine cabinet. However, I almost never go into kids’ rooms. I won’t have enough time to break into that safe where you keep your valuables. But if it’s not bolted down, I’ll take it with me. 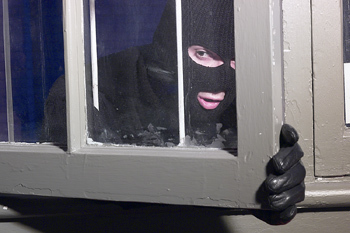 A loud TV or radio can be a better deterrent than the best alarm system. You can also buy a $35 device that works on a timer and simulates the flickering glow of a television. Also, If you need my help for anything let me know. I am still always here for providing help to you. What is the ASL Community Choir doing now??? Here they are at a nursing home, watch the videos!!! you can’t miss it, next to Ruby’s Tuesday. CHOICE #1 is the winner!!! — There is a sort of new starbuck is open on 817 West Esplanade Ave, Kenner, La 70065 via corner is Chatuea Blvd. Very nice location with plenty of foods, stores, and etc’s surrounding plus town area as well. for those living in, around or in support of events in the New Orleans area. are working with and/or are Deaf, Deaf/Blind, and hard of hearing. Information circulated does not necessarily express the views of CBBDC or the editor of the DEAF NEWS. Life Solutions Counseling, LLC provides a therapist fluent in American Sign Language who believes in a holistic approach to therapy, including social, emotional, physical, mental, and spiritual aspects. In order for an individual to enjoy a healthy, balanced life, he/she need to be connected with themselves, with God, and with significant others around them. Finding ways to strengthen these areas of connection is essential to achieving health and balance in one’s life. Typical issues with which our clients present include anxiety, depression, anger control, sexual trauma, difficulties in obtaining or sustaining close relationships, marital conflicts or infidelity, blended family difficulties, substance abuse, spiritual development, stage of life transitions, or general self-improvement. Limited avaiability 2 open slots on Tuesday or Thursday mornings, first come-first serve. check out pics of last Deaf Coffee Chat ReNew Orleans from August 20th!!! KENNER STARBUCKS DEAF CHAT! CHOICE #1 is the winner!!! — There is a sort of new starbuck is open on 817 West Esplanade Ave, Kenner, La 70065 via corner is Chatuea Blvd. Very nice location with plenty of foods, stores, and etc’s surrounding plus town area as well. WHEN: 1st Saturday of every month TIME: 7pm – 9pm SEE YOU THERE!!! ____________ _________ _________ _________ _________ _________ ASL STUDY GROUP (summer vacation is over!!! We start meeting again September 14th) If you are just learning to sign or if you have been signing for years – ALL ARE WELCOME – a lot of our study materials were flooded in the Deaf Church BUT we have already started to put together a new collection — we will be using some new video tapes and dvd’s for our practice. ____________ _________ _________ _________ _________ _________ _________ _______ Want a free Sorenson videophone? Christian Counseling for the Deaf CHEESE AND KEFIR MAKING WORKHSHOP VRS INFO Survey: Many Louisiana doctors would cut care to the poor because of reduction in Medicaid reimbursements 6 WebShops Retiring this Month 13 Things a Burglar Will Never Tell You What is happening at the Deaf Church? WATCH THESE VIDEOS!